Retirement 2.0: Alexander Terekhov. The Stone Bridge. 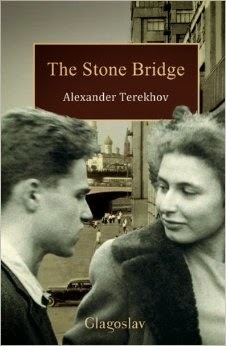 On June 3, 1943, two young people died on the Stone Bridge in Moscow. One was Nina Umansky, the fifteen year old daughter of the Soviet Ambassador to Mexico; the other was fifteen year old Volodya Shakurin, the son of the the Soviet Minister of Aviation. Nina Umansky and Volodya Shakhurin were both students in School 175, an elite school for children of those holding power in Stalin's Soviet Union. Nina's body was immediately cremated, and her parents left for Mexico the next day. Volodya survived for two days, and his body was then cremated. Two years later, Nina's parents, Konstantin and Raisa Umansky died in a plane crash in Mexico; their bodies were cremated and returned to Moscow. The killings were quickly ruled a murder (of Nina by Volodya) and a suicide (by Volodya). The purported motive was that Volodya was in love with Nina and did not want her to leave with her parents the next day for Mexico. About six months later, a notebook came to light that showed that Volodya Shakurin was the head of a secret club in which boys took German military titles and planned a revolution. (Though one boy was cited as saying that their main occupation was hurling slingshots at one another.) The boys were taken into Lubyanka prison, interrogated, judged guilty of treason, and exiled for about a year. The death of Nina's parents remained suspicious. Was it an accident or a plot? This set of events sometimes known as the Children's Case or (using Stalin's term) the Wolfcub Case has recently been the subject of two historical novels. One by the noted historian, Simon Sebag Montefiore, One Night in Winter; the other by the journalist and novelist Alexander Terkhov, The Stone Bridge. I enjoyed both. I read Montefiore's novel first, but after reading Terekhov's I now see it as a less ambitious and more fictional text than Terkhov's genre blurring historical/fictional work. Loosely, there are two inter-related plots in The Stone Bridge. The immediate plot is the story of an investigator, Alexander Vasiliyevich, who decides to find out exactly what happened on The Stone Bridge; Vasiliyevich is the narrator of The Stone Bridge, and much of the book is focalized through his consciousness. The underlying plot is the retrieved history of the Stone Bridge incident. The story of Vasiliyevich's quest to find out the "truth" of what happened propels the novel. The narrative line takes him from one source or archive to another. As he discovers more, the things he wants to discover grow exponentially. The investigation generates a huge web of information and an ever larger set of unaswered questions. Terekhov draws on material from now-public Soviet archives, including transcripts of interviews; memoirs written by contemporaries of the Umanskys; and representations of historical figures, particularly Maxim Litinov and his daughter Tantaya Litinov. Terekhov spent ten years researching the book; for example, he is the first to identify a woman in Litinov's memoir named only as P. as the historical figure Anastasia Vladimirovna Petrovna (and the quest to find out about who she was forms a major part of the book.). The second story, the "truth" of what happened on The Stone Bridge becomes intensely complicated (or not) as the investigation grows. Possibilities arise but are supplanted by further scenarios. In the end, the novel raises questions about the degree to which the past can be truthfully recreated--either in archive, history, or fiction. "awaiting the warden’s steps in order to obey whatever is asked of them so that they could preserve their connection to the Absolute Power, which gave them the sense of . . . what? I think – immortality. Only a misunderstanding would make one say that they had lived as captive slaves. They lived a life of meaning – the meaning defined by him [the Emperor]. To abandon this meaning was worse than dying – it was to become cosmic dust, an Absolute Non-Being, and the empire had given them a clear understanding of what the Absolute means." The Stone Bridge is not an apology for Stalin, but it is a contemplation of where meaning now lies for Russians. I loved this book because I similarly love to hunt down historical clues--to discover an unexpected piece of information and trace where it goes. My hunting is mainly on the Internet; my interests are too quixotic to plan trips to archives. But I really like books that hang together on the thread of this kind of search. I found the book mesmerizing because it touches a particular chord in me as a reader. It is, on a much larger scale, what I am trying to do in discovering the story of Secession architecture. Intriguing. Nina's photos remind me of a young Ingrid Bergman. I just keeping she looks so much older than 15. But apparently these are real pictures of them.